The Black-throated Loon breeds in northern Scandinavia and often spends the winter on the North Sea. The Black-throated Loon is predominantly grey. 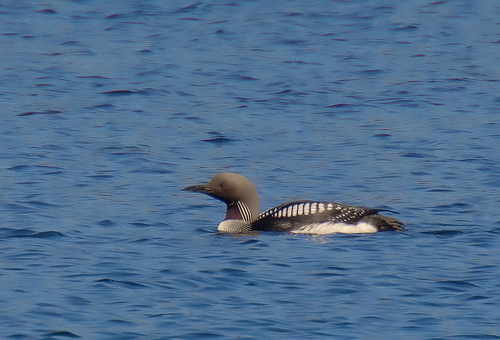 The Great Northern Diver is black. 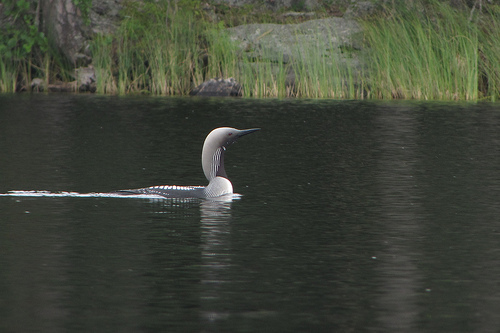 The Black-throated Loon has a straight horizontal beak, the beak of the Red-throated Loon is slightly upward-tilted.